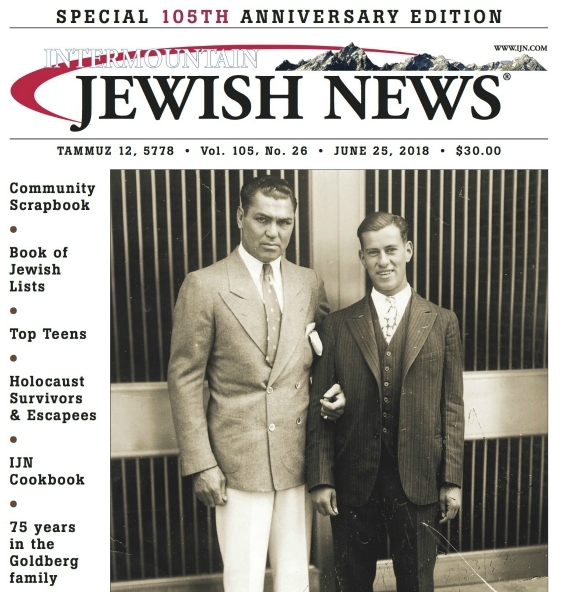 The Intermountain Jewish News‘ Andrea Jacobs interviews Hank Eng, who is running as the Democrat candidate for Colorado’s sixth Congressional district. IJN: The economy is failing in every imaginable sector. Do you agree with Bushs $700 billion bailout? Are there elements you would add, subtract, or throw out entirely? In the short term, Congress must do two things: 1) act swiftly to provide confidence in our capital markets; and 2) act prudently to protect taxpayers and keep Americans working and in their own homes. Congress must infuse our capital markets with enough liquidity to ensure confidence worldwide. At the same time, Congress must protect the taxpayers whose houses are being foreclosed upon and whose taxes will be turned over to banking institutions. IJN: Consider the following scenario. Israel strikes Irans nuclear facilities. Iran prepares to strike back at Israel. How should the US respond? The United States and Israel are allies and we should do everything necessary to protect Israel and our other interests in the Middle East. In this hypothetical situation, if Iran begins to retaliate I would support the position where we would provide Israel with whatever military assistance is necessary, should she ask. IJN: List, in detail, the five most important steps toward reforming Americas healthcare system. Are you optimistic that reform is possible? The starting points for comprehensive healthcare reform are targeted tax credits, expanded federal insurance, reducing overhead and paper work costs through electronically transferable records, expanded healthcare for children, and reinsurance to cover catastrophic events. I believe in a system that is cost effective and accessible to all. Yes, I am optimistic that healthcare reform is imminent. No American should have to worry about whether he or she can afford healthcare for themselves and their family. IJN: According to a recent poll, Americans are less concerned about terrorism than at any time since Sept. 11. Is terrorism still a credible threat? If so, are we fighting terrorism in the appropriate regions? The threat from terrorism remains a major concern. I believe that the actions taken by the Bush administration over the last seven years have made our country less safe from terrorism, and that the next administration must do more to accurately assess the dangers. We must take action to protect our ports, power plants, chemical plants and infrastructure. And we must engage both our friends and adversaries in talks designed to foster peaceful relations while standing firm on our commitment to stopping the spread of nuclear weapons and radical ideologies. IJN: Why do you feel you would make a better Congressman than Mike Coffman? How do you perceive your strengths and his weaknesses? I am running for Congress because I believe the voters in Colorados Congressional District 6 have not been well represented in recent years. We need a representative in Washington who is committed to ensuring that our districts concerns are being heard and that our fair share of the tax dollars we all pay are being returned to the district. My lifetime of foreign relations experience has given me valuable perspective that I will apply to my duties in Congress. My strengths are my integrity, honesty, and my experience in foreign relations. Note: Despite repeated requests to respond to questions submitted by the IJN, Republican Mike Coffman did not reply. Previous PostNaming the advisers: Who has the ear of McCain? Next PostLivni: courageous or inept?